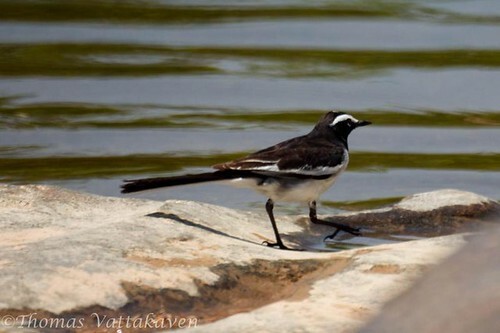 The White-browed Wagtail or Large Pied Wagtail (Motacilla maderaspatensis) is the largest member of the wagtail family. They have a black pattern above, white below with a white brow, shoulder streaks and outer tail feathers. 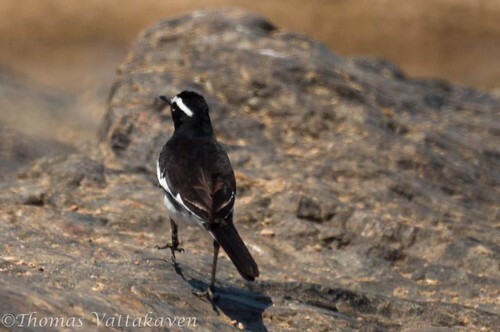 They differ from the White Wagtail (Motacilla alba) in that they lack the white forehead. 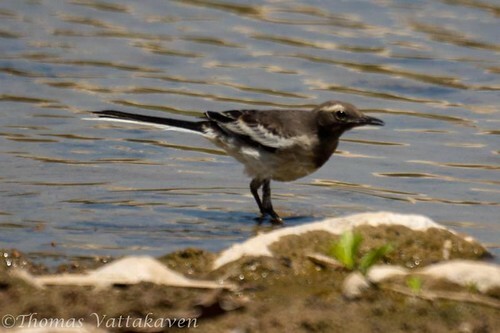 These birds are usually found around water bodies such as open freshwater wetlands, however they have adapted well to the urban habitats and can be seen near water tanks and rooftops. They usually occur in pairs or small groups, feeding by the water side. The females resemble the males but are less black (above and below). 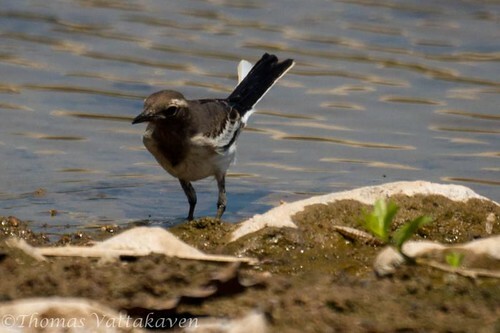 These birds are endemic to India and breed usually from March-May. They build nests in cup shaped holes in the ground or rocks and lay around 3-5 eggs per clutch.However they are also known to build nests under bridges and on ferry boats! They are insectivorous and feed on caterpillars, beetles spiders etc. Since they are mostly found beside water, in India they are also called as dhobin (or washerwoman).